Do Love Apples Count, Too? Iowa Seed Co., 36th Annual Catalogue, 1906. Back Cover. October is National Apple Month. 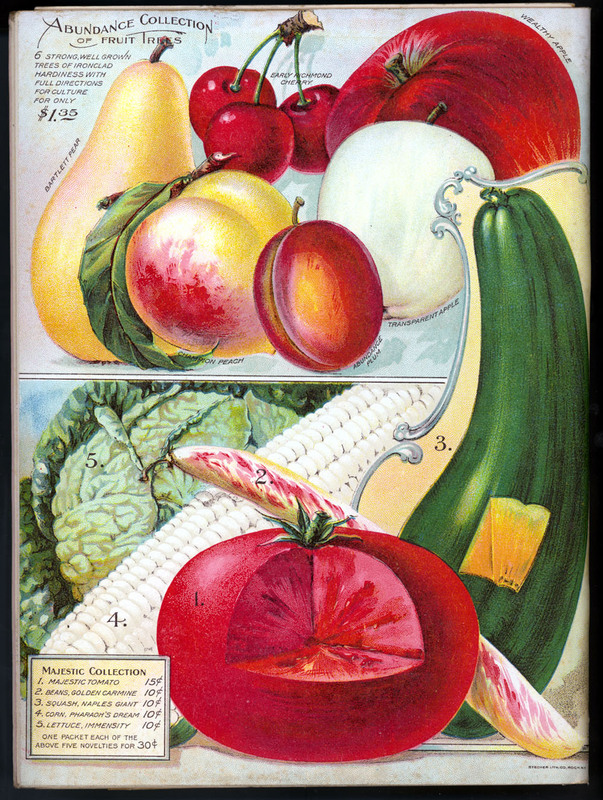 The Libraries has an abundance of beautiful images of fruits and the like in its seed catalog collection, which is part of the trade literature collection in the National Museum of American History Library. I have to admit that as delicious as the depicted Wealthy Apple looks, and as intrigued as I might be about the Transparent Apple, what really strikes my fancy is that Majestic Tomato, front and center, for fifteen cents. Yum.